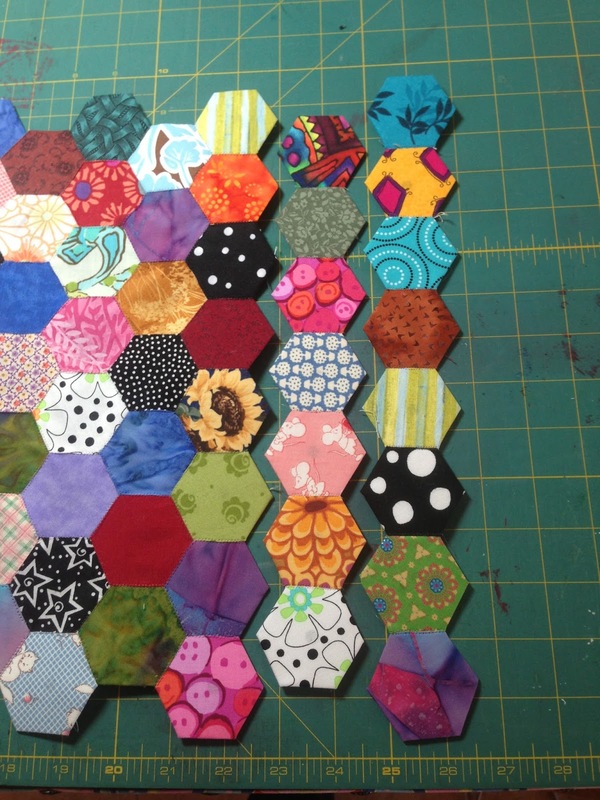 ....and my progress on the old quilt...going slow...but going:):) I needed to add hexies to my sewing machine cover. 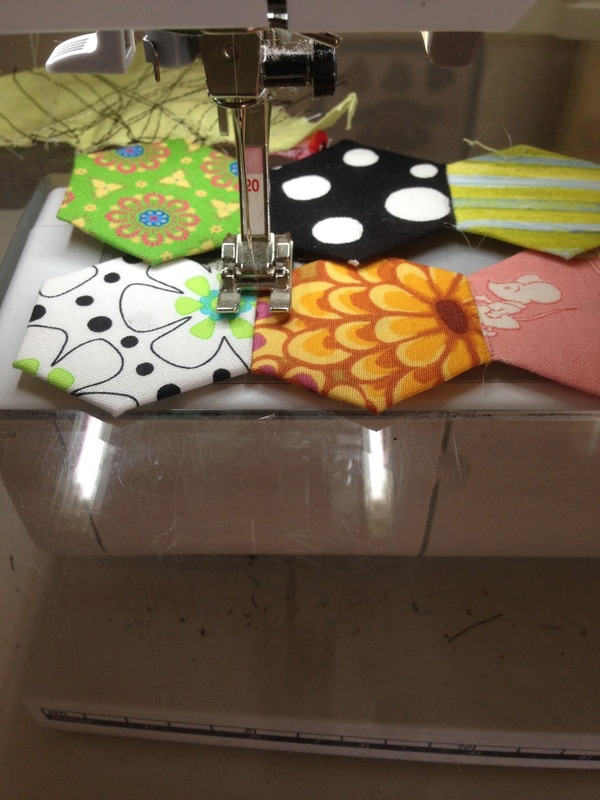 I am sewing them together by machine....Very happy with how easy they are going together. Love the quilts...you have been very busy. Sandie - I am so amazed, again, by your quilting skills and your attention to detail! This is going to be one marvelous quilt. Keep up the great artwork. OMG sweetie.. That is going to gorgeous when it's finished!! !